From the path up to Garburn Pass the whole of the route can be seen. 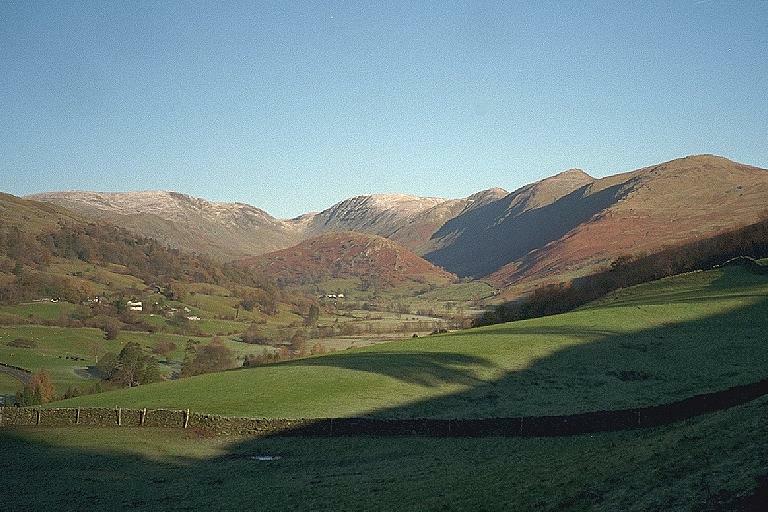 The slopes of Wansfell are on the left, and on the horizon: Caudale Moor; Threshthwaite Mouth; Thornthwaite Crag; Froswick; Ill Bell; and Yoke. Troutbeck Tongue is the hill in the middle of the valley. The buildings on the left are at Town Head and in front of The Tongue is Troutbeck Park farm. Smaller version of this picture.